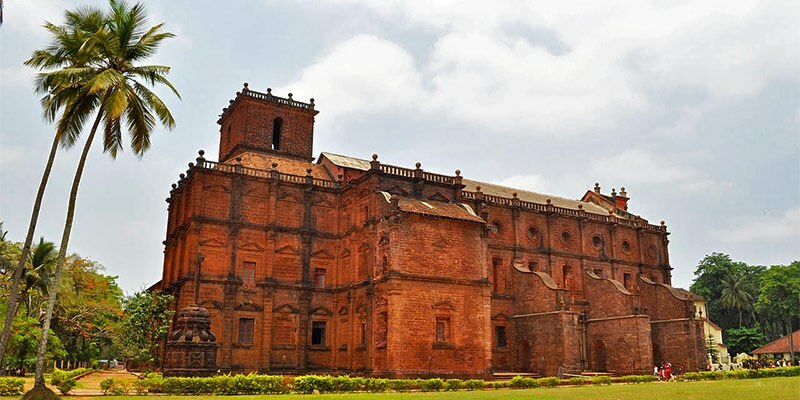 Basilica of Bom Jesus or also known as Borea Jezuchi Bajilika is church located in Old Goa. Its ground work began on 24 November 1594. Basilica of Bom Jesus is the only church in Old Goa that hasn’t been plastered on the outside. 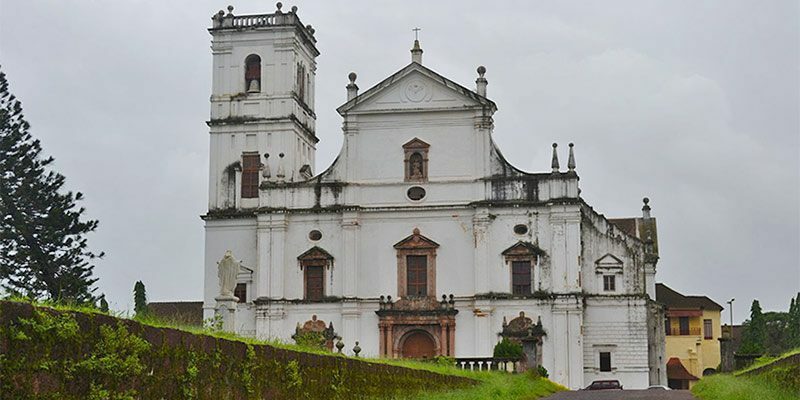 UNESCO declared it as World Heritage Site, as a part of Churches and convents of Goa. The church is the most prominent church and among the most appreciated by Christians worldwide. It is also considered as the finest example of Baroque architecture, the most popular architecture style in the sixties. The literal meaning of “Bom Jesus” is ‘good Jesus’ or ‘infant Jesus’ to whom it is dedicated. The church is revered for its elegance & simplicity. Basilica of Bom Jesus was consecrated by Fr. Alexia de Menezes. It is said that the church holds the tomb and the mortal remains of St. Francis Xavier, whose body was brought from China after 2 years but was as fresh as the day it was buried. The holy remains attract lots of devotees and tourists across the globe. Our Lady of the Immaculate Conception church was certainly built in 1541 as a chapel on a hill side overlooking the city of Panjim. It was completely re-built in 1619. It was not just a sleepy fishing village but was the first port of call for sailors from Lisbon, who would give a thanks for safe crossing, before continuing to Ela (Old Goa). The Church has two flanking altars that catch the eye, left is dedicated to Jesus Crucified and that on the right to Our lady of the Rosary. The interior of the church is thrifty, but colourful. Dedicated to Mother Mary is the main altar, which has an aesthetic decor. On each side of the main altar there are altars flamboyantly carved, gold plated and decorated. The altars are surrounded by marble statues of St Peter and St Paul. Chapel of St. Francis Xavier is on the right-hand side of the main altar. On December 8, all eyes are on the church during the Feast of Our lady Immaculate Conception. It is colourfully illuminated also having a fair as a part and parcel of the saga. 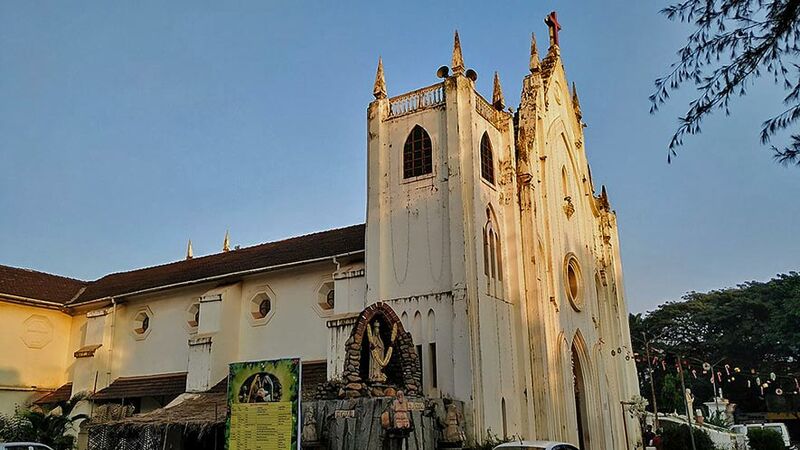 St Catherine’s Cathedral is devoted to St Catherine of Alexandria on whose feast day in 1510 Alfonso Albuquerque conquered the Muslim army and took control of the city of Goa. Known for being largest church in Asia, it is one the most ancient building to the Roman Catholic rule under the Portuguese. The church was recruited by the Portuguese Viceroy, Redondo to be a "a grandiose church worthy of the wealth, power and fame of the Portuguese." It is bigger than any of the churches in Portugal itself. Its foundation stone was laid in 1562 during the reign of King Dom Sebastiao and substantially completed by 1619. Se Cathedral’s architecture style is Portuguese-Manueline. The interior is Corinthian whereas exterior is Tuscan. Inside the Cathedral there’s a large bell known as the "Golden Bell" on account of its rich tone. Church requests the tourists/visitors to dress appropriately for the atmosphere of reverence and respect. At a distance from the capital, on a high hill is perched an aesthetic chapel. It is publicly known as the Chapel of Our of the Mount or in Portuguese, Capela da Nossa Senhora do Monte. It was established in year 1519 summoned by Alfonso de Albuquerque. 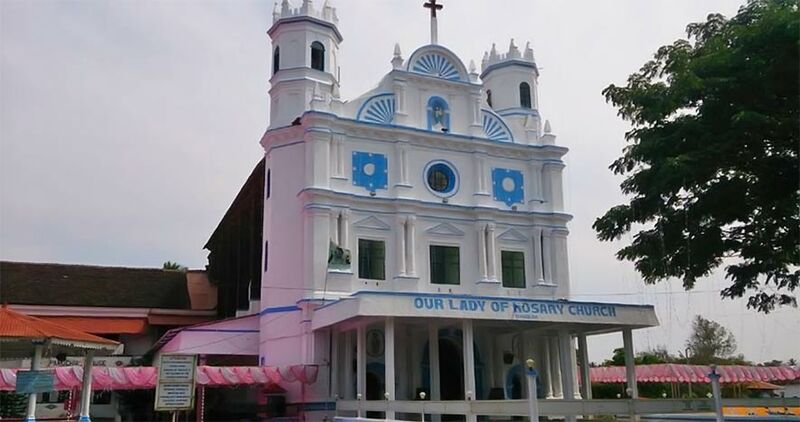 Church of our lady of the Mount marks the victory of Albuquerque over the Goan Muslim ruler Adil Shah in 1510. Due to its location in a secluded arena it was being overlooked but due to its reconstruction twice and renovation in 2001, it now attracts many visitors around the world. The view is amazeballs as one can see the entire view of Old Goa. Just like the other church, this one too holds events. The Monte Music Festival is organised in month of February in collaboration with Kala Academy. The festival focuses to bring together Indian and Western forms of classical music. People from around the world come and attend the festival as well as to participate. 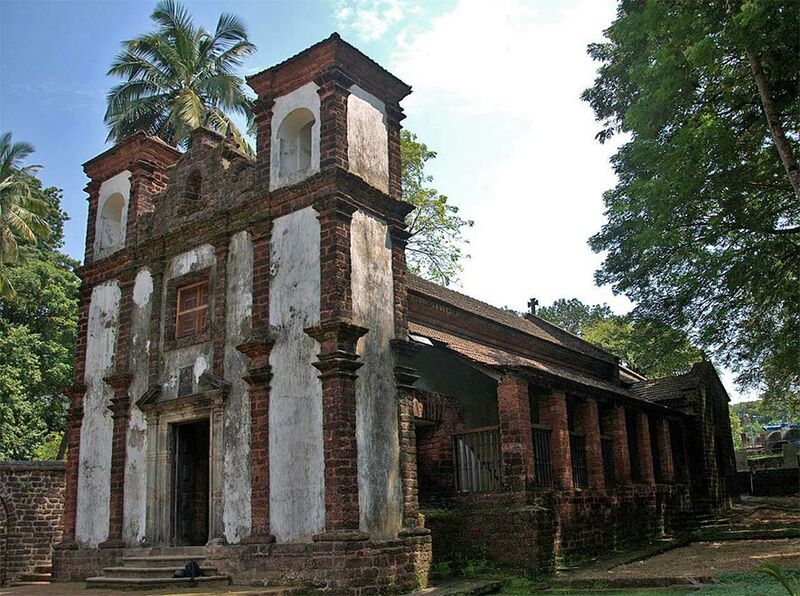 It is believed to be the oldest still standing church in Goa. Located a Kilometre away to the north east of the Se Cathedral, St. Cajetan's Church is serenely beautiful. Being one of the most admired shrines of India, it stands like pure white wedding cake. 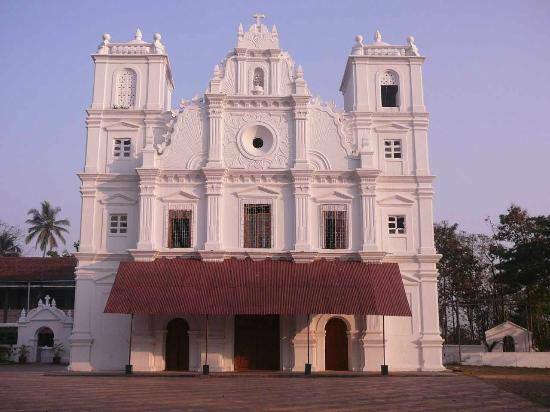 It was completed in the year 1661 and is part of World Heritage Site, Churches and convents of Goa. History of the church lies back to the middle of 17th Century as it was built as per the orders of Theatines. Cathedral is named after the founder of the Theatine order, St Cajetan, a contemporary of St Francis Xavier. The structure of the church is in form of a Greek cross. The church consists of seven altars, with the main altar dedicated to Our lady of Providence. Main altar has is modelled after the Basilica of St. Peter in Rome. Besides this it is one of the biggest tourist attractions of Goa. Mother of God Church also called Mae De Deus is a jaw-dropping site. Immaculate white walls, gothic spires and its beauty reminds of a castle in a fairy-tale. Built in 1873 at Saligao, it stands in scenic surroundings. Mae De Deus is situated 4.5 km from pleasing Calangute Beach. Architecture of the church is Gothic style displaying the finest example. Magnificent touch is given through the doom shape of church. It makes photographer dream canvas. Devotees worship the statue of Nossa Senhora. Night view is breathe taking as Goa tourism Department make arrangements to illuminate the Church at night. St. Francis of Assisi is a Catholic church located in the main square of Old Goa, 10 km east of Panaji. Eight Portuguese Franciscan friars built this church together with a convent, when landed in Goa in 1517. The Church was first started as a small chapel, which was later altered to a church in 1512 and consecrated to Holy Ghost in 1521 Later it was modified again in 1661, which is the current structure. The building is made up of laterite blocks and is lime plastered. The church is mixture of different styles. Exterior is in basic Tuscan order whereas interior, especially the main altar is entirely Baroque with Corinthian features. The convent which is attached to the Church now houses the Archaeological Museum. The museum was set up by the Archaeological Survey of India in 1964. It has artifacts, paintings and sculptures that portrays Goa’s rich and vibrant history. The Chapel of St. Catherine is also known by the people as Chapel of Santa Catarinais. 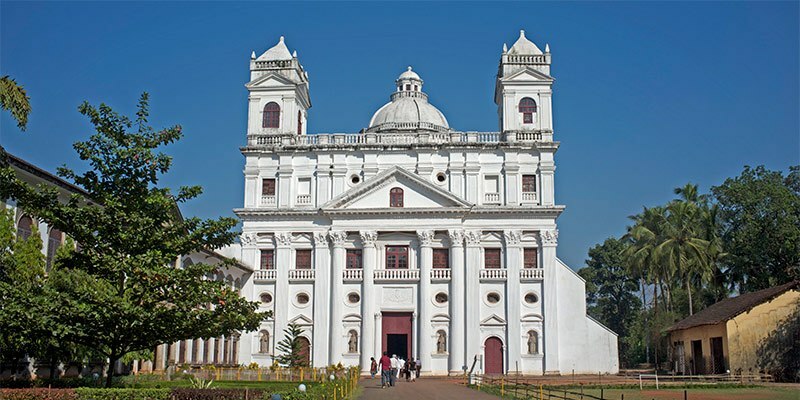 Just like many churches of Goa, it is the part of a UNESCO World Heritage Site in India- “Churches and Convents of Goa. Its in the same arena as St Francis of Assisi. Initially chapel was perched by Portuguese conqueror Afonso de Albuquerque in 1510. Later in the 1534 it was granted the status of Cathedral by Pope Paul III and was rebuilt afterwards. Chapel has inscribed stone that states that Albuquerque actually entered the city at this spot, thus it is believed that chapel stands on what used to be the main gate of Muslim city. Chapel of St. Catherine has Renaissance style architecture. Unlike other churches, this one is distinctive by a brown and white façade. Built with laterite stone, chapel is of pale-yellow colour with lime mortar and has facade on both the sides. When we look deeply at the altars, once can pinpoint that the exterior is simple. As one enters the chapel, one can notice the statue of Our Lady. There’s also an altar dedicated to St Catherine upon which stands another statue of Our Lady of Peity. This aesthetic chapel faces Mandovi river and is just a walk from Archaeological Museum and Portrait gallery. Established in 1544-1547 Church of Our Lady of the Rosary is the oldest church still standing in Goa, the church is located atop the picturesque Monte Santo or the Holy Hill, it is located on the site of the victory of Portugal over the armies of Bijapur Sultan and is in fact believed to be built by Portugal as a sign of gratitude for their victory. The church exhibits a Portuguese late Gothic style architecture and perhaps looks more like a fortress than a church, the facade of the church has a cross on the top and rounded towers on either side. the church features three altars and two chapels, the main altar is dedicated to Our Lady of Rosary. The church every year holds a feast in the month of November which features grand processions, dazzling fireworks, and eye-catching cultural performances. Located at the foothills of the lovely Monte de Guirim, stands tall the breath-taking St. Diogo church also known as the Franciscan Church. 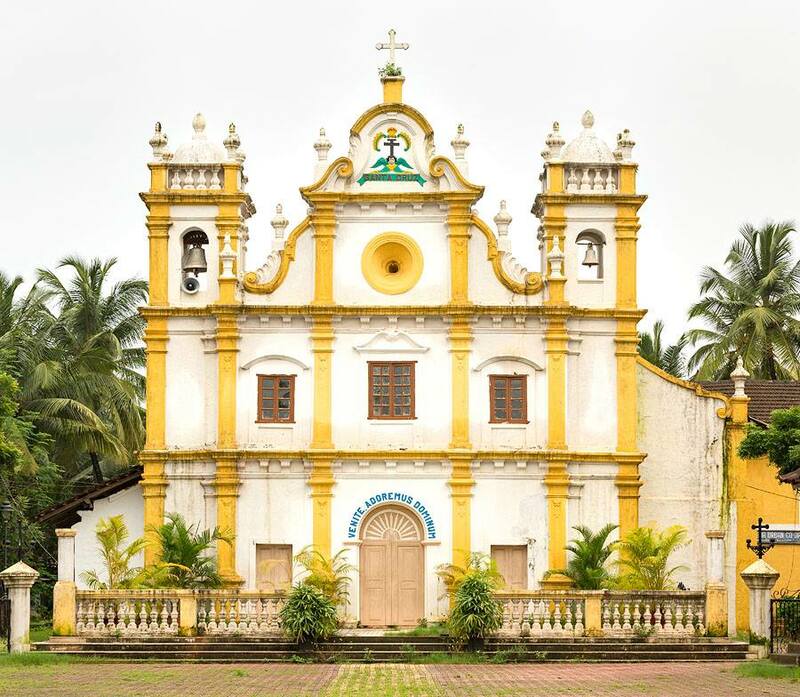 The church was built-in 1604 by Fr Miguel de Sam Boaventura with the support of the Goa Comunidade, the structure went through many renovations throughout history but the most significant one was carried out in 2004. The church's architecture features a Neo-Roman style aesthetic and is one of the 24 Churches erected in the Bardez taluka. The church features multiple altars, the main altar is dedicated to St. Diogo and others are devoted to St. Anthony of Padua, St. Francis of Assisi, infant Jesus and Our Lady of Rosary. The church hosts the feast of St. Diogo every year on 2nd Sunday of November however ironically the feast of Our Lady of Rosary is celebrated with much more enthusiasm. 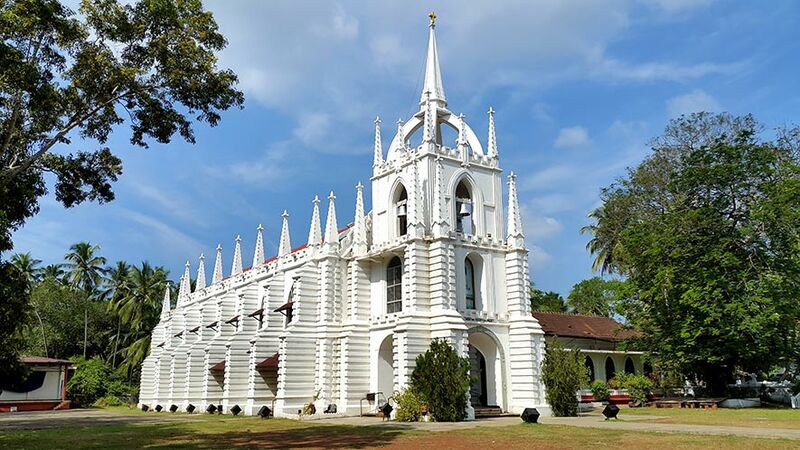 Located in the scenic port city of Vasco Da Gama, St. Andrews Church is one of the oldest and picturesque churches of Goa, built-in 1570 by the Jesuits the structure was once destroyed in 1578 by Adil Shah's soldiers and rebuilt again by Viceroy FerraoTeles de Menezes. The church features an astonishing main altar dedicated to St. Andrew and features beautiful Mannerist Neo-Roman style architecture with many relics such as four life-size wooden candle stands with creatively carved cherubim and beautifully carved marble statues of three Shepard children, our lady of Fatima and Joseph Vaz. Many holy events take place on the premises, the most awaited one is the feast of St Andrew celebrated on 30 November, on this day people from the whole town come together to celebrate the patron saint of spinsters and fishermen. 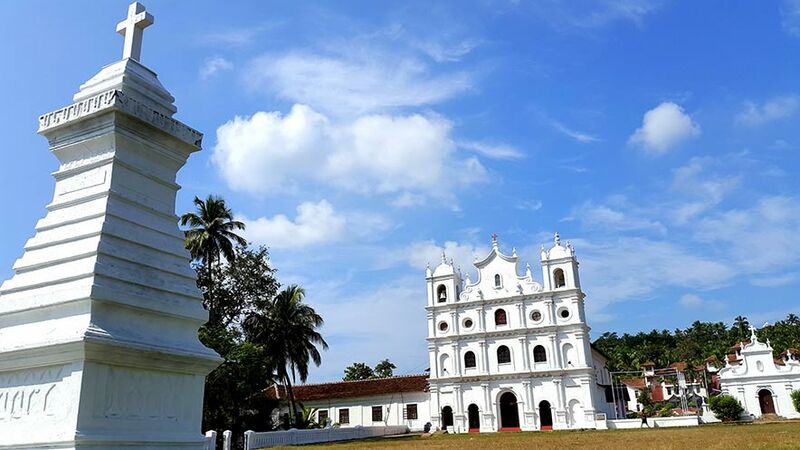 Located in Santa Cruz or Calapur village, Santa Cruz church also Known as the holy cross church is one of the oldest churches of Goa built in 1547 by the Portuguese. The church was constructed on the order of the Portugal king in an attempt to convert the indigenous people to Christianity. The exterior of the Church is a replica of the Se Cathedral, the building features 9 crosses, 5 chapels and the main church building with the door that has many intriguing secrets etched on it. The church hosts many festivals like the feast of the holy cross which is held on the Sunday between 2nd and 8th may and is celebrated by the village with rejoice and tradition. Other important festivals include the feast of Our Lady of Rosary and the paddy harvest festival. Located on a hilltop in the pleasant village of Pilerne is the St. John The Baptist Church also known as the Pilerne church dedicated to St. John the Baptist. The church was initially a chapel built-in 1658 by Frie Diego de Santa Clara but was rebuilt twice. The Pilerne church features a complex housing a grotto of Our Lady of Fatima and five altars, the main altar honours St. John the Baptist and the remaining four altars are devoted to Our lady of Piety, Lady of Mount, Holy souls and St. Anthony. Just like any other church many holy events take place on the premises, the most celebrated one is the feast of St. John the Baptist held on 24 June. People of all age groups celebrate the festival with vibrancy, great festive spirit and tradition. The feast features People dressed in flashy dresses and floral crown heads head out in parades dancing and singing merrily to the beat of the Ghumot. Nossa Senhora de Penha de Franca also known as the Our Lady of the Rock of Franca is one of the most scenic places of Goa as it is situated right on the banks of the picturesque Mandovi river in northern Goa. The church was established in1626 in honour of Saint Nossa Senhora de Penha de Franca, a Spanish saint who is believed to have saved some Portuguese sailors from a hazardous situation on their voyage to India. Besides the calm and serene location, the church also features high vaulted ceiling, exquisite gold painted altars, astonishing interiors with intricately carved woodwork, octagonally shaped towers and a beautiful small water body that give the church its captivating charm.